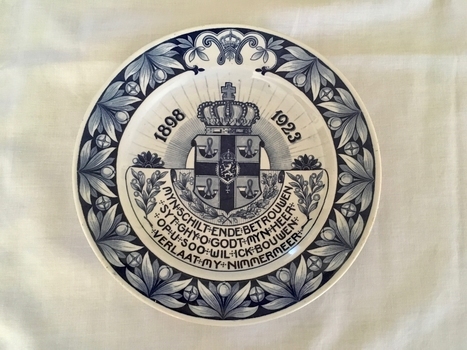 Commissioned in Australia, this platter illustrates the continued affection of Dutch migrants for the Dutch royal family. Small orange tin with lid. 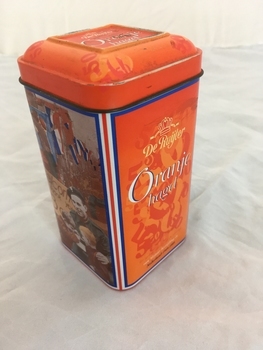 A tall square tin with snug-fitting lid produced to contain 200gram "Dutch hail", a sugary product eaten on Dutch rusks or slices of bread; usually on celebratory occasions. The main colour is orange and it is also richly decorated with scenes recalling the 1945 Liberation. The Dutch have never forgotten their debt to the Allied forces or the joy of the 1945 liberation. De Ruyter Oranje hagel. Ter gelegenheid van de viering van 50 jaar bevrijding in Nederland 1945-1995 (on the occasion of the 50th anniversary of the liberation in The Netherlands 1945-1995). There is also a list of ingredients that constitute the hail and other commercial markings. 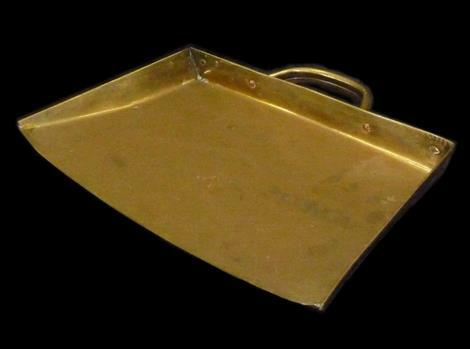 Dustpan with handle made out of sheet of brass folded into shape and held together by copper rivets. 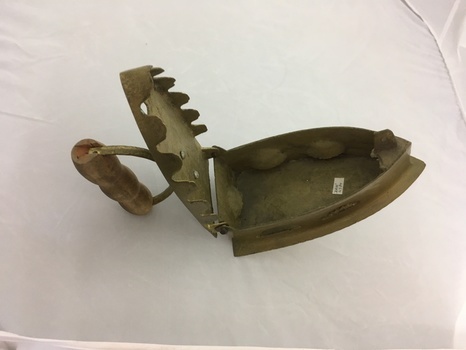 During the latter part of the 20th century utilitarian objects such as this were often replicated in brass to become part of brassware collections. Blue and white hand-painted ashtray with three shallow grooves on rim for resting cigarettes. The scalloped rim is also decorated with a blue catkin branch. 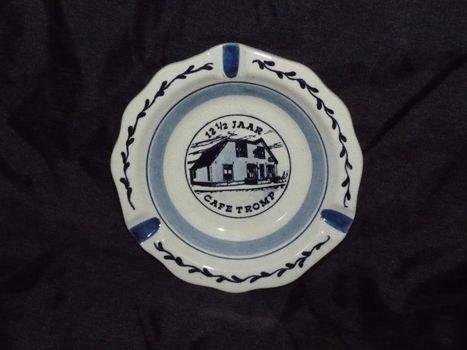 In the centre circle is a picture of a cafe and the inscription "12 ½ Jaar Cafe Tromp". On the reverse is painted; "Handpainted Delft Blue made in Holland". 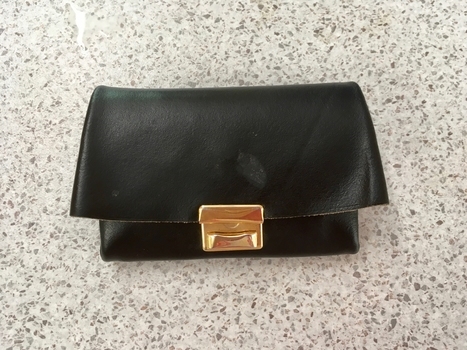 A black leather purse with partitions for bank notes and coins. There is a stud to close the coin section and a brass clip to close the purse as a whole. One section contains two notes to the value of two and a half guilders; another has 19 coins to the value of 10c each; the main section holds 2 coins worth 1 guilder each, 7 worth 25cents, 3 x 5cent coins and 3 x 1 cent. These purses were common in The Netherlands in the mid-twentieth century but were laid aside in favour of wallets once plastic cards were introduced. A common ceramic plate, originally white but painted over as a tribute to those who fell defending their country against the Nazi invasion on May 10, 1940. A handmade wire hanging is twisted around the plate. This plate was obviously created to honour those who were killed defending their country at the time of the invasion - May 10, 1940. The maker appears to have taken an ordinary plate and painted it him or herself. 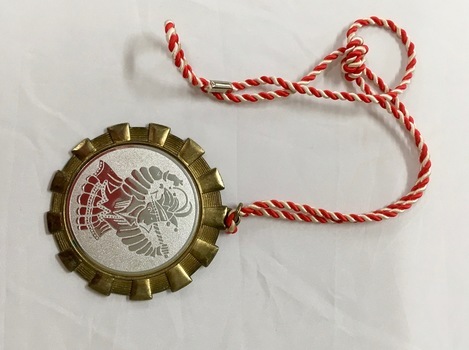 This is a rate item as it was produced during the war in contrast to the many plates and other items to commemorate the Liberation in May 1945. Aan Hen Die Vielen Voor Hun Vaderland (To those Who Fell For Their Country). 10 Mei 1940. 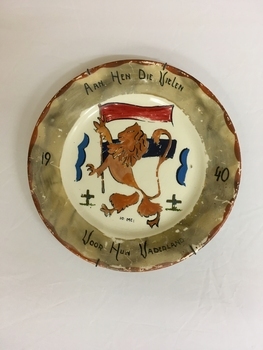 The centre of the plate is handpainted and shows a Dutch flag, a lion rampant and two military graves. On the back is the makers's symbol (a resting lion), the manufacturer's name and Maastricht 1941. Also Made in Holland. Small brass-coloured ornament from the former Dutch East Indies. 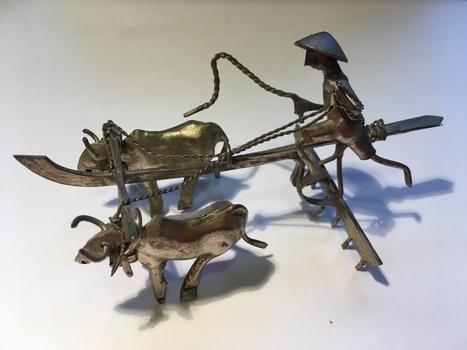 It depicts a team of two bullocks drawing a plough. The farmer is seated on the plough and swinging a whip. Very likely a souvenir brought back from the former Dutch East-Indies. 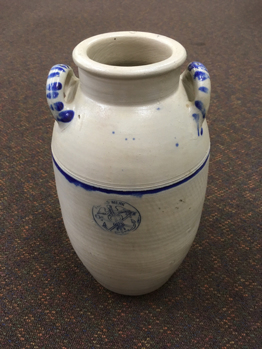 Grey stoneware pot, amphora shape, blue ring above written inscription, two handles with blue markings. Voorraadpot made in Rotterdam by JM de Hoop and son. Used for storing preserved food eg. sauerkraut. Bronze (?) male figure depicting him about to fill a jug with his urine. His right hand lifts his garment while he holds the jug in his left. A link to the folkloric custom that the poor sold their urine to the wool industry where it was used in wool washing. 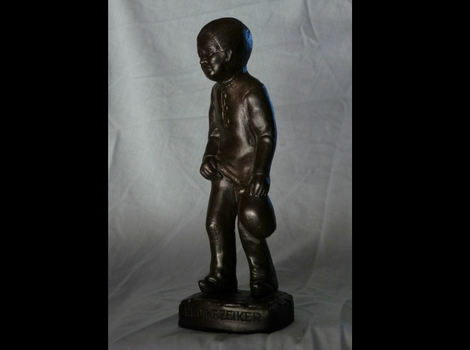 Current depictions of a stereotypical Kruikezeiker are based on the Tilburg sculpture created by Henk Smulders (1925-1994). Said statue is located on Nieuwlandstraat, Tilburg. Tilburg has embraced this legend and named itself "Kruikezeiker Stad" (Jug City). The legend is brought to the fore during Karneval celebrations. It is a symbol of the city. Base edge carries the name: "H.Smulders" on the back; "Tilburg" on the side and "Kruikezeiker" on the front. Wooden flat-bed wheelbarrow with wooden wheel with metal band. Oak and teak have been used and the item is varnished. 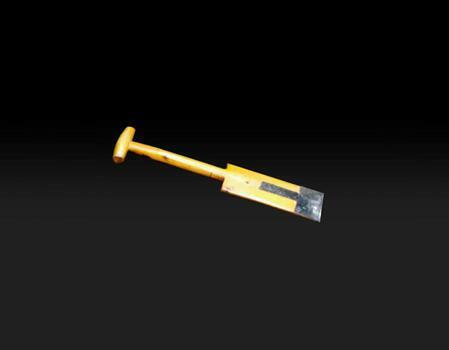 Used together with peat cutter (Item 4143) and peat spade (Item 4142). Originated in Drente where cutting peat was one of the main industries. 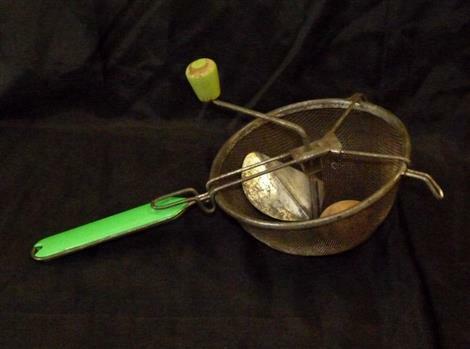 Used together with peat cutter (Item 4143) and peat spade (Item 4142). A rare example referring to the peat cutting industry. 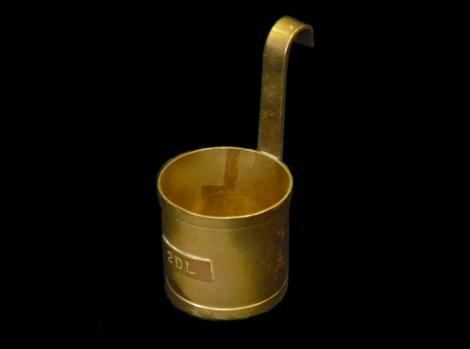 The scoop is likely a brass replica of the enamelled scoops commonly used by milkmen when delivering milk to housewives. It has a curved handle. 2DL indicates a volume of 200ml. 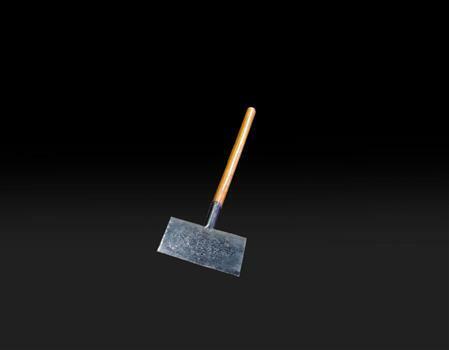 2DL is engraved on the scoop's side. 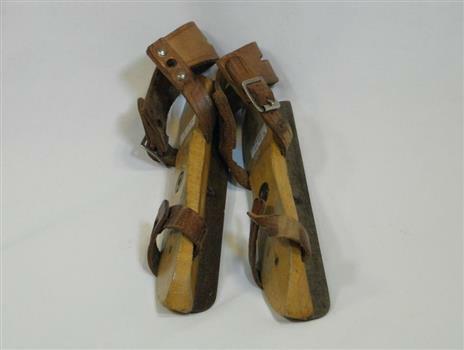 4649 (a) and (b) Wooden upper, pointed at both ends; steel blade fastened with central rivet; leather ankle and toe straps. Front straps have eyelets through which very strong crossgrain strap was threaded to tie skate onto shoe, rear strap has hole either side to thread the strap through for tying under shoe instep and around top of shoe and around ankle. Medieaval and 17th century Dutch paintings show winterscapes with children from the Low Countries skating on skates of similar pattern. The Dutch love of skating is exemplified by the fact that so many brought their skates with them to their new country. A ceramic plate decorated in blue with pictures and words. Central to the image is a coat of arms featuring a central lion and 4 identical hunting horns. The whole is surmounted by a crown. The rim is decorated with orange blossoms. Maastricht, Holland, was the city where Petrus Regout established the De Sphinx pottery in 1836. De Sphinx operated under the name Petrus Regout & Co. until 1899. The firm was noted for its transfer-printed earthenware. Many factories in Maastricht are still making ceramics. 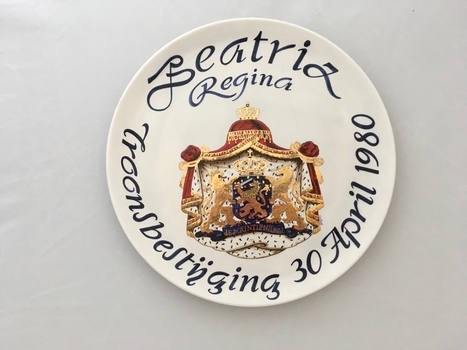 The plate was created to celebrate the silver jubilee of Queen Wilhelmina in 1923. The words read: "Mijn schilt en de betrouwen Syt Ghy O God myn Heer. Op U soo wil ick bouwen Verlaat my nimmermeer." These are words from the second verse of the National Anthem recorded in Old Dutch. The dates 1898-1923 also feature on the front of the plate. The back bears the maker's stamp, an imprint of a small arrow, an imprint of ¾ and the words "Made in Holland". The maker's stamp reads: "Petrus Regout & Co Maastricht". It is surmounted by a sphinx. There are also two holes in the rim to enable hanging of the plate. Hard cover book. 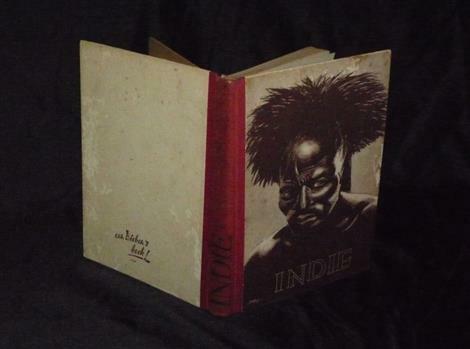 Illustration on front cover, native of former Dutch East Indies. 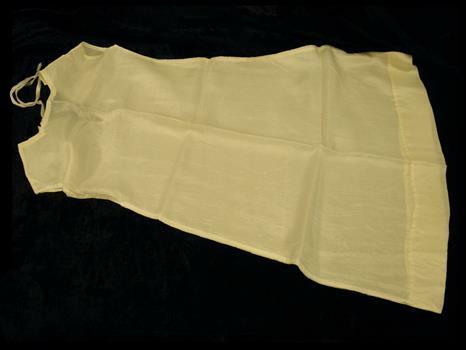 Petticoat to be worn under child's white First Communion dress, made of white parachute silk sewn in extremely tiny stitches by machine and hand. French seams are used for the sides and shoulders; the hem is handsewn. The garment is fastened at the neck with a narrow white satin ribbon. This petticoat dress was sewn by Mrs. van den Heuvel and her friend M/s Jos Tersteeg for Marjo van den Heuvel to wear under a white dress on the occasion of her cousin Peter Beeker's First Holy Communion. The material was obtained from one of the many parachutes that became available during the Allied offensive of 1944/45. This material was very welcome after the deprivations suffered during the 5 year German occupation. 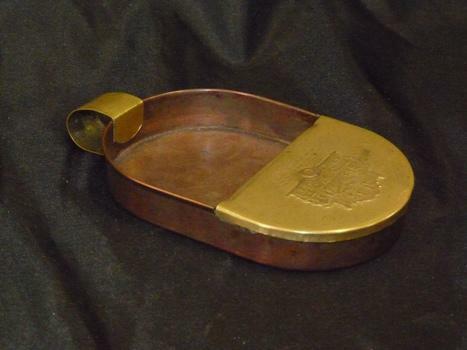 This is a copper, oval-shaped dish with low (about 2cm) sides, part covered in brass, with brass handle and about 15cm in length. Used to collect coins from those listening to street musicians, particularly the barrel organ grinder. It was customary to rattle the coins in an attempt to attract further donations. Cover displays barrel organ in relief. 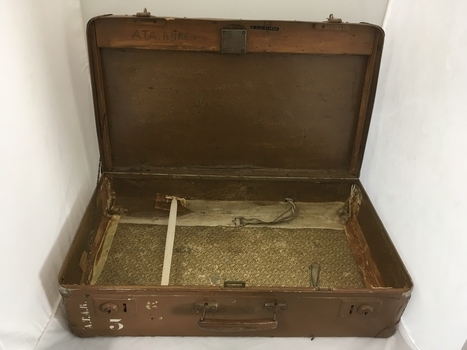 Brown painted suitcase of reinforced oilcloth with metal handle and two metal locks. A small door lock has been added to the lid which has been reinforced on the inside by a timber slat. A plywood slat has been added to the handle side of the case. The rims of lid and case are made of metal, as are the corners. The papered interior of both case and lid shows a small floral pattern in black and beige although, as part of the reinforcement, a coat of brown paint has been added to the inside of the lid and case, but not the bottom. Of the two straps designed to hold down the contents one is still in place, but the other has been replaced by a length of elastic. The original strap is made of cotton, now a dirty white with blue edging, and does up with a small metal buckle. The interior of the case shows a lot of wear and tear with evidence of multiple repairs. A small black metal chain holds up the lid, the corresponding one on the opposite side is missing. Suitcase brought by Dutch immigrant. The fact that the owner reinforced and mended the suitcase suggests the Dutch trait of taking care of things and making them last. The stencilled initials suggest this case was probably stored in the hold. On the inside: the timber slat carries the name A.T.A. RIJKEN in black ink and also on a black Dymo label. On the outside: the handle side displays the initials A.T.A.R. and the figure 3 in white stencil. The lid bears evidence of a label in the bottom left hand corner. The lock, added by the owner, is 3cm in diameter and branded ELZETT Made in Hungary. An historic small town scene etched (or possibly printed) on thin metal and subsequently fastened to a plywood backing. 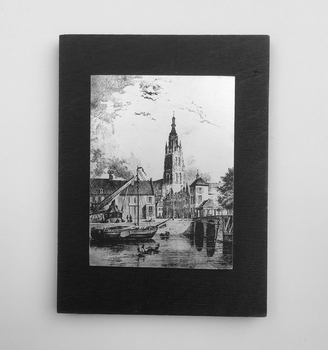 The delicately presented scene is said to show the intersection of Old Church Street and the Vliet Canal bridge in Voorburg, as well as a section of wharf. On the canal are one large and two much smaller vessels. A very tall crane-like construction arises from the wharf to the roof of waterside buildings. The people are soberly dressed in possibly 17th or 18th century costumes. The Vliet is a canal in the western Netherlands, in the province of South Holland. It starts at the Oude Rijn at Leiden and joins the Delfshavense Schie canal at Delft. Places along its banks include Voorschoten, Leidschendam, Voorburg, The Hague and Rijswijk. The canal was dug in 47 AD under command of Roman general Corbulo, who wished to connect the river Rhine, of which the current Oude Rijn stream in Roman times was the main branch, to the Meuse estuary. It is unclear what the canal's trajectory was beyond the current city of Delft; the Delfshavense Schie canal, which connects Delft to the Nieuwe Maas river was not dug until 1389. In the Middle Ages the Vliet was an important trade link that attracted all kinds of trade, as it flowed through the heart of the County of Holland. Windmills have been constructed alongside the Vliet, including the completely renovated mill 'De salamander' in Leidschendam. The Vliet area was particularly attractive among richer families, who built their mansions along its banks. On the reverse has been written: "Oude Kerkstraat Brug over de Vliet Voorburg". (Old Church Street; Bridge over the Vliet canal; Voorburg). However, research proves that the church is actually the Old Church in Delft, a short distance further down the Vliet Canal. 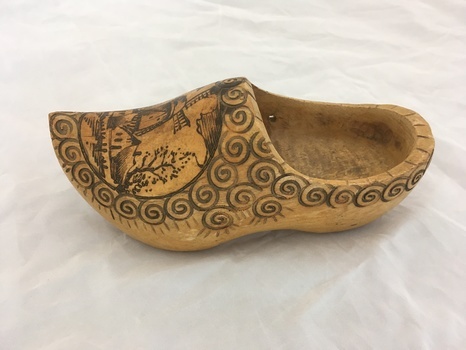 Single wooden clog decorated with burnt-in rustic scene and patterned decorations. 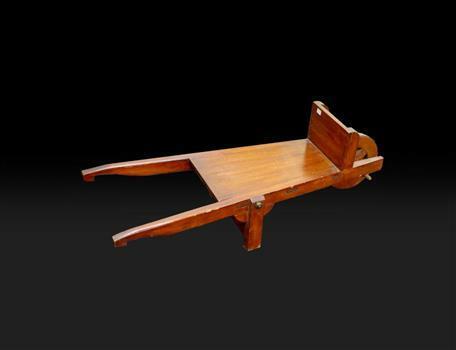 Wooden clogs were common footwear for farmers and their families. 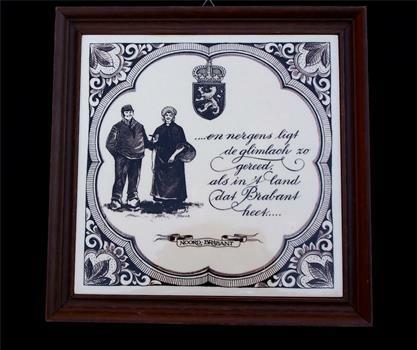 A white ceramic tile hand painted in brown with figures of a farming couple from Brabant, a verse, a coat of arms, the words "Noord-Brabant" and various decorative designs. 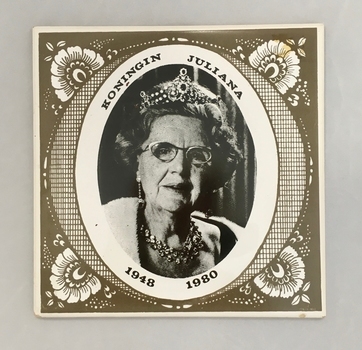 Tile baking has long been an important industry in The Netherlands with tiles produced for walls and floors as well as at individual requests to commemorate an event or special occasion. 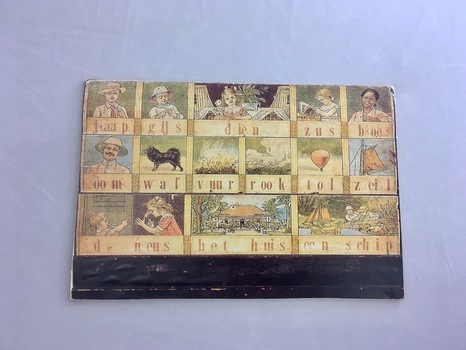 Faintly visible on the back are the ink-stamped words: "plateelbakkerij schoonhoven" (a ceramics factory in Schoonhoven). 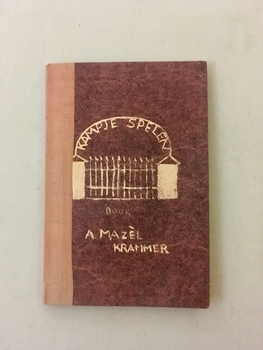 A handwritten inscription reads: "Sjaan en Ad van Wanrooy, Erp, Nederland. 30 November 1980". Rectangular light green cardboard container which slides open to reveal 7 slate pencils. The lid is busily illustrated with scenes of English Victories on Sea and Land including Trafalgar and Waterloo. 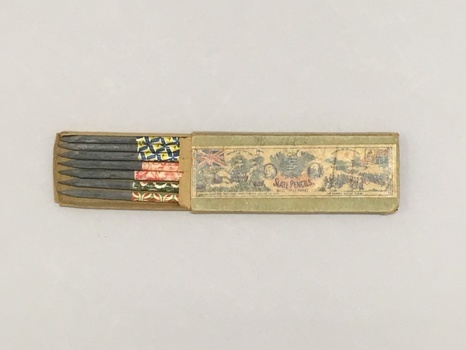 The upper halves of the slate pencils are covered in paper decorated with various designs. Slate pencils were used extensively in primary schools throughout The Netherlands. These pencils may have belonged to a child who attended school either towards the end of or post WWII when there was a scarcity of paper and books. In the left margin of the picture are the words: "Designed in England". Underneath the Trafalgar scene is the quotation: "England expects that every man this day will do his duty." Under the Waterloo scene is the quotation: "Up Guards and at them!" In the right margin are the words: Copyright ENT * STAT HALL. GES.GESCHUTZT. 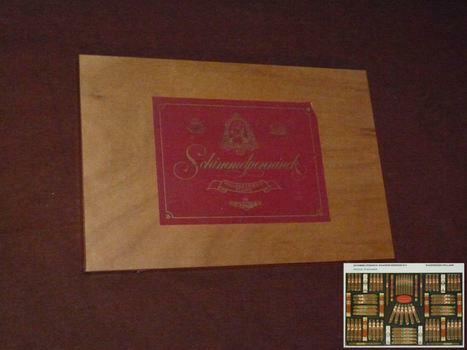 In the centre are the words The Box enclose a crown surmounting a coat of arms which in its turn surmounts crossed slate pencils, then the words SLATE PENCILS and Made in Germany. In pale ink the name Harold is written above the picture. Originated in Drente where cutting peat was one of the main industries. Used together with wheelbarrow (Item 4139) and peat spade (Item 4142).